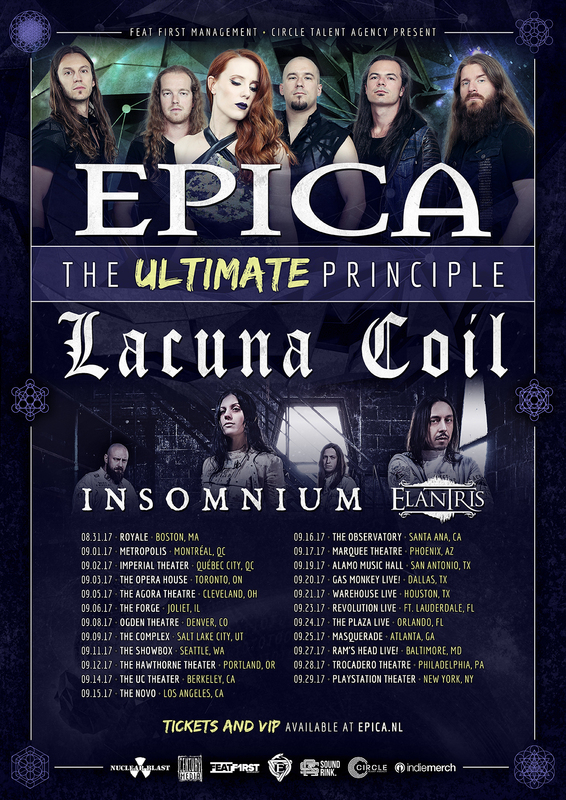 While wrapping up the last European summer festivals LACUNA COIL, who are playing the prestigious Wacken Open Air this weekend, are excited to announce a full European headlining tour with special guest Cellar Darling. 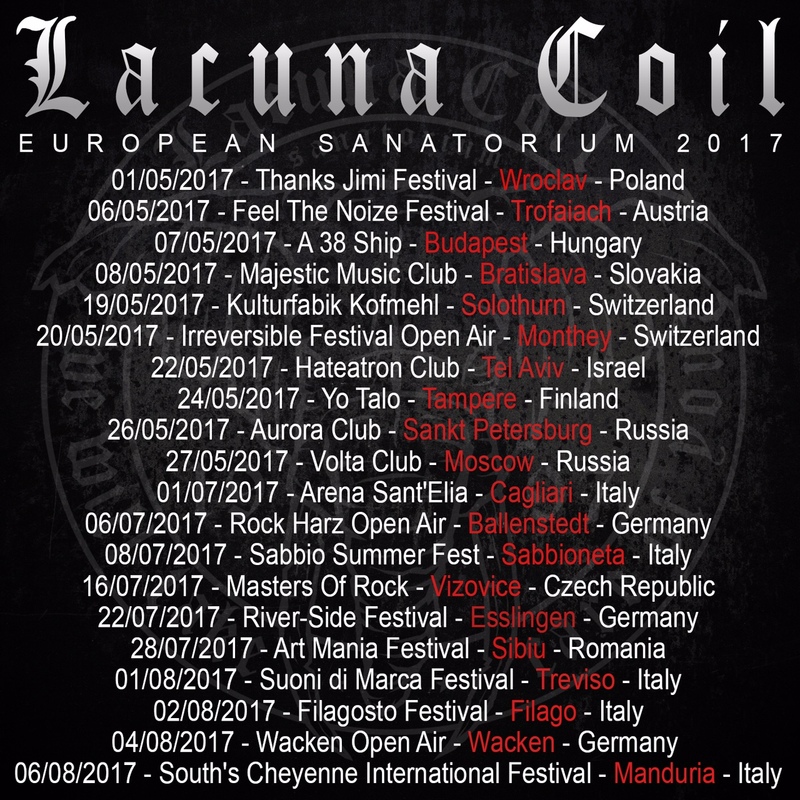 Lacuna Coil have announced a number of ‘European Sanatorium 2017′ dates across a number of countries through the summer months. 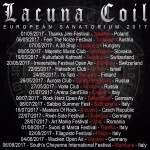 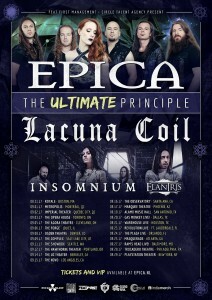 Details below, and you can see a full list of all upcoming Lacuna Coil shows here. 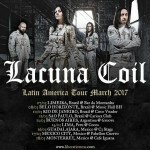 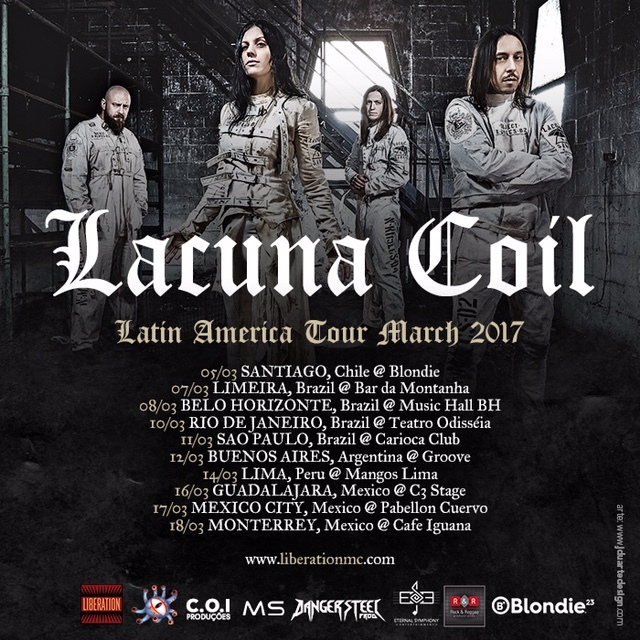 Lacuna Coil have added new shows to their 2017 Latin Tour. 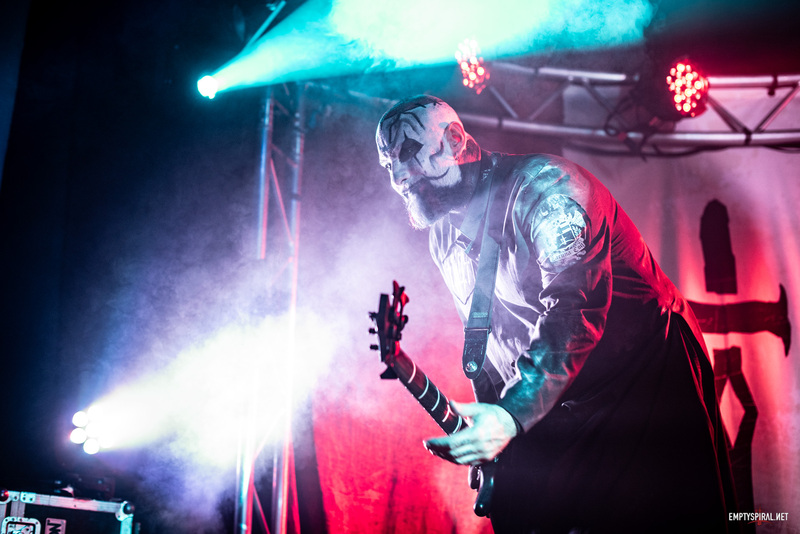 For a full list of upcoming shows, check out our Tours Section here. 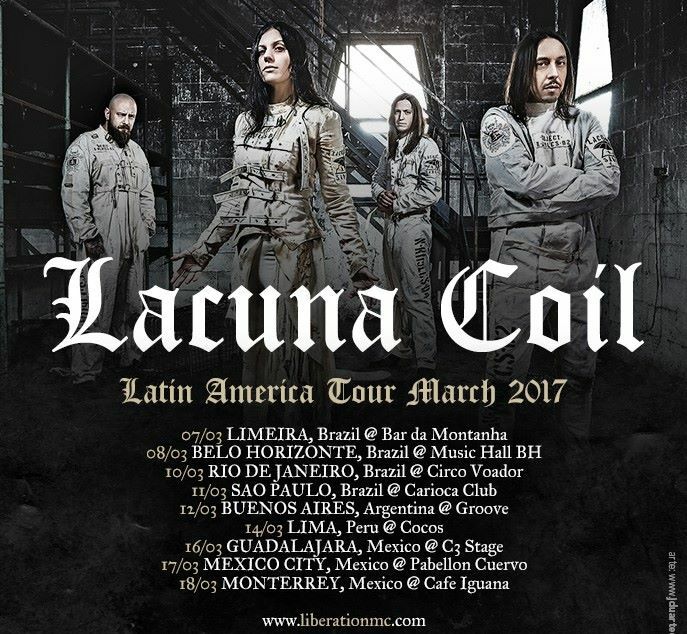 Lacuna Coil have announced today that they will be touring in Latin America in March 2017.